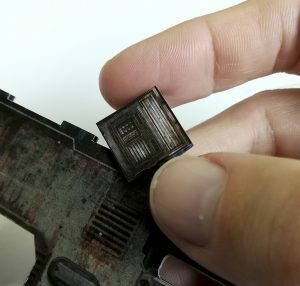 Previously I covered how our modular card based terrain system Metro Morph is not only tough enough for the tabletop but also its ability to carry huge amounts of weight while offering a stable platform for your miniatures. 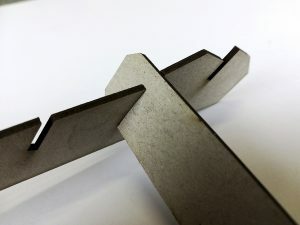 This post will cover how the structural panels of the Metro Morph terrain system are actually connected together. Several potential options were investigated as to how to join the card panels together but in the end the final clip method proved to be the most advantageous. I knew from the start I wanted the system to be both easy to construct and also offer the ability to totally disassemble structures back to their original state. Therefore no fixed method, such as glue, could be used to connect the card panels together. The idea of cross sectional card pieces which slot together, while visually appealing, was briefly explored but the resulting rubbing of card on card was deemed too destructive and not suitable to the end goals of the project. With card on card out I needed to explore the possibility of resin or plastic being the connecting agent between the card pieces themselves. This approach also had the potential to allow for connections to take place in a variety of ways, which was hugely in line with the goal of the project. As such, many different iterations of clipping mechanism was drafted, tested and refined to determine what could offer the best grip, least wear and most potential for building options. 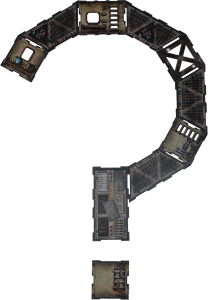 In the end, three clips were finalised as being the best balance of all appropriate attributes giving the best options available to construct the most varied building types. 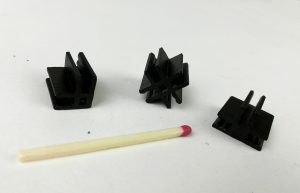 The clips are made to connect to the cards in clearly defined slot holes which both better anchor the clip and allow it to blend in further with the underlying structure. Their design is such that they will slide on and off the card quiet comfortably yet hold enough grip to firmly join a structure in a secure fashion. All card sections have clip slots which allow for them to be aligned in multiple different ways with all other components in the Metro Morph system in completely seamless fashion. 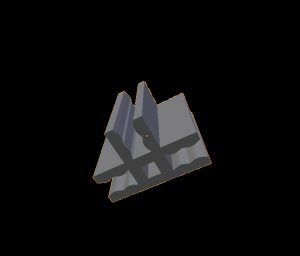 The clips at present allow for structures to be added both horizontally and vertically, wherever a clip slot can be found on a card section. These examples should give you a good idea of how easy structures are able to be built using the Metro Morph clip system. Hopefully these examples will start to give you some ideas as to what could be potentially made with the system. What building ideas do you have? 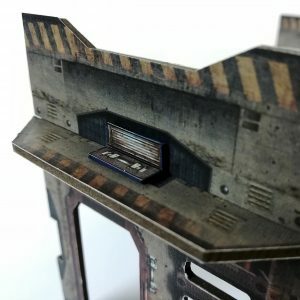 Posted in Metro Morph and tagged building, card terrain, cardboard, clips, Metro Morph, modular.